I really had fun working on my latest project…my French sheet music Christmas candles! I love the vintage look and the warm little glow that they are adding to my Christmas decorations this year! And…they were easy and inexpensive to create. In fact, I didn’t spend a penny to make them! …and this one was simply wrapped in the sheet music with the leftover cutouts from the star candle being used as a fun tag! And this one sports a Christmas tree design! And I bet you already have on hand most of what you need to make them! Cut the sheet music to fit the jars. I used two lengths, back-to-back, for the jars with the cutouts. To create the cutouts, simply fold the sheets in half across the short side and cut out your pattern. Note: I practiced first on plain paper until I got the cutout the size that I wanted it to be. Unfold your sheet and you will see a whole star or tree. If you are uncomfortable cutting your own, you will find quite a few shapes online. Wrap the sheets around the jar and secure with matte tape. Wrap jute twine around the mouth of the jar several times and tie. You can add evergreens or berries if you wish. Cut one layer of the paper, wrap it around the jar and secure with matte tape. Note: You only want one layer of the sheet music for this one so that the candlelight will glow through the paper. The cutouts from the other candles can be glued back-to-back to reinforce them, then punch a small hole and thread them on the twine. And here they are…so fun and easy…and you can’t beat free! I've already planned where they will go. I am still working on my Christmas decorations and I can’t wait for you to see them! Can you tell I am going for a vintage-y, French look this year? And here are a few more fun things that you can create with sheet music…wreaths, candles and ornaments! Be sure to get a closer look at my sheet music decorations and check out the tutorials by clicking here! And for more Christmas-y fun with jars, here are my Mason jar Christmas candles! You can see how I made them here! 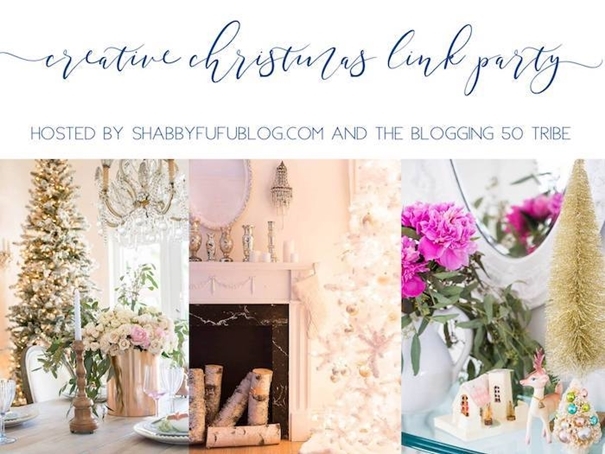 For more Christmas inspiration, check out the posts from these talented bloggers! So beautiful! I love this look. Thanks for the tutorial! Lovely! I like music sheet for Christmas! Oh my goodness... I had to look twice at the cut out ones! Those are so pretty and such a great way to use up old jars, book pages, sheet music etc. J'adore ce projet Debbie! Très beau surtout avec les découpures. Adorable! Love, love, love the idea. I will definitely be making these this year. Thanks for the tutorial. Love the sheet music candles. You always share the coolest things. I love it. Baby kitty is adorable laying by the fire! Beautiful boy! Merry Christmas! Just recently found Christmas sheet music online for some of my card makings and love it, and now French sheet music, wahoo. Love your candles especially with the Christmas cutouts, very clever! I know this post is a ffew years old... just wondering what kind of paper to print the sheet music onto?? Beautiful idea!!! Thanks for sharing!! It's just regular printer paper! So glad that you like them! Great gift for my son's music instructor! Thank you! Love all the ideas for using sheet music. Your jars, candles, ornaments and wreath with sheet music are all to love, thank you for sharing tutorials. For this year am just going to make candle jars but rest of projects will be put into my Christmas notebook for future holidays. Around end of Nov. get notebook out to decide which projects will attempt. Get out supplies and paper to make list of what I need to get started. Find after year or two this works well for me. Of course usually find more items to make on log land so those get added to notebook. Try to limit What and how many items I make so can give each one enuf time attention, then have to get in mail for many items. Since have gotten little older have narrowed down amount of projects I commit to making to keep myself from getting frazzled, able to enjoy this time of year with family. Your tutorials are well demonstrated which I sure appreciate. Love when there are photos of your gorgeous kitties included. Debbie, what a cute idea. I am a musician, so I am always looking for ways to use music! Love the french sheet music look on those glass jars! Very trendy! That kitty of your looks adorable! I am a big cat persona and he looks like a lover. I love this idea. What a simple and beautiful craft project. Pinned!!! It was fun joining you on this link party. I love book page crafts. This is so pretty for Christmas. I love your style. I'm a big fan of book page projects too Debbie. These look wonderful. Visiting from Blogging Fifty and pinning too! I love the cut out candles with sheet music! I love almost anything with music notes on it. You can find a lot of musical things in My Christmas Living Room that I just shared with the Scoop (which is where I noticed your candles). Merry Christmas!